Before my life became so busy, I loved baking bread. Mixing up the dough and waiting for it to rise, then enjoying the warm, yeasty aroma as it baked was very satisfying. Now, with such a crazy schedule and many deadlines, I have less time for the pleasures of baking. But I enjoyed it vicariously through Carrie Daly, my main character in BEAUTY FOR ASHES who is herself an accomplished baker. Carrie bakes pies and wedding cakes, but bread is her specialty. 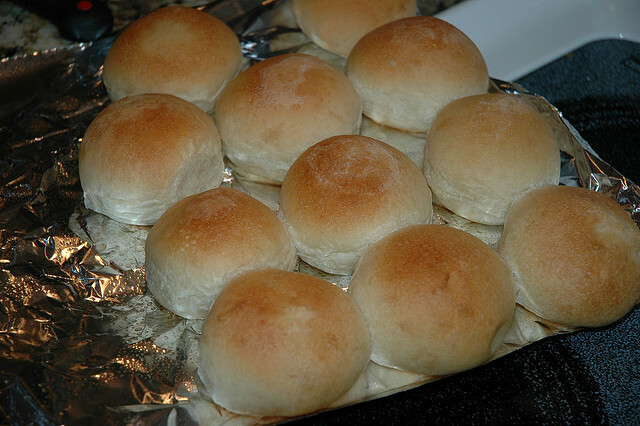 As I was researching this novel, I came across a recipe for the best yeast rolls I’ve ever eaten. It’s in an old handwritten cookbook of unknown origin ( a flea market find on a trip to South Carolina, so I’m pretty sure it’s a Southern recipe). Easy enough to make for a weekday dinner and delicious enough for company, the recipe is not time consuming at all; even I have managed to make it twice in recent weeks; it’s the waiting for the dough to rise that takes a bit of time. But then, we are all multi-taskers, aren’t we? Plenty else to do while the dough rises. Here’s the recipe Carrie makes for Griff at the farm. I hope you enjoy it as much as Griff did. Heat milk but do not boil. Pour over sugar and shortening. Add the yeast cake and the beaten egg. Add the flour and salt and mix well. Cover and let stand till double. Punch down and pinch off bits of dough to form 24 rolls. Let the dough rise again. This entry was posted in Blog, Recipes on February 22, 2012 by dorothy. I was disappointed this week to learn that the new owners of one of our favorite neighborhood bistros has changed the menu and done away with one of my favorite traditional Southern desserts. I first came across a recipe for Hummingbird Cake as a newlywed. Wanting to master a spectacular dessert, I gave it a try and found that it isn’t hard at all. Like Red Velvet Cake, it’s a showy cake that makes a statement and has become popular with Southern brides as a wedding cake. Grease and flour three 9 inch round cake pans. Set aside. Preheat oven to 350. Combine first five ingredients and stir till well blended. Add the eggs and oil and continue stirring till dry ingredients are moistened. Do not beat! Stir in the remaining ingredients, reserving one cup of the chopped pecans for garnish. Spoon the batter into the prepared pans and bake at 350 for 25-30 minutes. Remove from pans and cool completely. Combine An 8 ounce package softened cream cheese and 1/2 cup butter. Cream till smooth. Add 1 pound confectioners sugar and beat till light and fluffy. Stir in 1 tsp vanilla. Frost the cake and sprinkle the remaining 1 cup of chopped pecans on top. 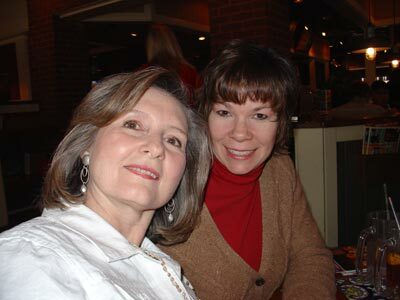 This entry was posted in Blog, Recipes on January 6, 2012 by dorothy. Last week a member of one of my e-mail loops posed a question about which book others found most memorable. 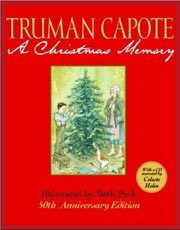 My hands- down favorite in the Christmas category is Truman Capote’s A Christmas Memory. It’s more than a lyrical story of an annual Christmas cake- baking tradition he shared with his cousin; it’s a sweet mediation on what she meant to him. I first read it when I was a young teacher. As I’ve grown older, I’ve come to appreciate even more its central theme: that it’s the people with whom we share and make Christmas memories that are most precious. Combine sugar, butter and milk in a heavy saucepan and bring to a rolling boil. Stir constantly. Boil for 5 minutes over medium heat, stirring constantly. Remove from heat, add the rest of the ingredients, and beat until well blended. Pour into a greased 13 x 9 pan. Cool at room temperature. Cut into squares. Makes 3 pounds of mouth-watering fudge. Enjoy! Maybe you’ll make a new Christmas memory, too. I’m taking next week off in celebration of Christmas, but I’ll see you on the far side. Till then, from my house to yours, Blessings to all! This entry was posted in Blog, Recipes on December 14, 2011 by dorothy. I’m a couple of weeks early, but Thanksgiving is on my mind this week after having finished writing a Thanksgiving Day scene for EVERY PERFECT GIFT. During my research, I found out that in the 19th century, Thanksgiving frequently comprised almost thirty different dishes–everything from the usual turkey to pigeon pie. Thanks, I’ll pass on that one. The day was often marked with costume parades, raffles, turkey shoots, chestnut roasts, and plenty of desserts consumed before a crackling fire. Like most Southern families, ours has a list of traditional dishes that never varies. Cornbread dressing, homemade cranberry sauce and pumpkin pie are always on the menu at our house along with a smoked turkey and whatever greens look good at the grocery store on shopping day. Several years ago, I came across a recipe for sweet potato casserole from Dallas Cowboy Emmitt Smith. It was an immediate hit, and is now on the list of “must haves.” Over the years I’ve tweaked it a bit. Recipe follows. I hope you enjoy it. And from our house to yours, Happy Thanksgiving! Sprinkle the mixture evenly over the top of the sweet potatoes. Then drizzle with 1/3 cup melted butter. Bake at 350 degrees for 30 minutes. Enjoy! How about you? What’s your favorite Thanksgiving recipe? 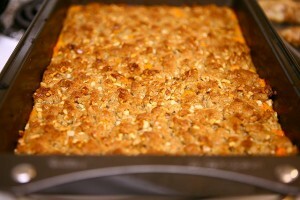 This entry was posted in Blog, Recipes on November 9, 2011 by dorothy.